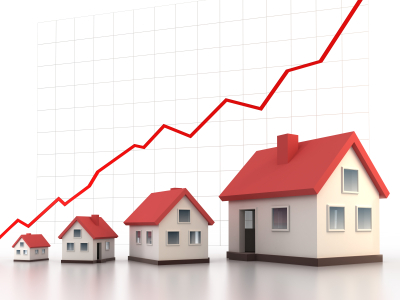 According to the recent account by S&P CoreLogic Case-Shiller Indices, home prices are experiencing a hot streak. In January they reached a 31-month high, indicating a great increase for month-over-month as well as year-over-year. The S&P CoreLogic Case-Shiller U.S. National Home Price NSA Index revealed a leap of 5.9 percent year-over-year for home prices. While the 10-City Composite Index saw a 5.1 percent increase, the 20-City Composite presented a 5.7 percent increase. These numbers are significant and display a general, across the board surge in pricing. Specifically, Seattle, Portland, and Denver hold on to the spots for cities with the most gains in percentage. Seattle comes in as first with a 11.3 percent growth year-over-year. Trends could change depending on a multitude of factors; however, definite disruption will occur if the Federal Reserve decides to up the key interest rate this year; increasing the rate three or four more times in 2017 would cause a direct impact on mortgage rates. A contributor to this escalation of prices is inventory, for starter home supply appears especially slim as of late. With limited supply and rising demand, the prices continue to inflate. This trend could cause consumers to feel more apprehensive about trading up to larger homes, perpetuating the cycle by holding on to the supply of smaller homes. The solution to cutting this cycle lies in the hands of construction, according to Bill Banfield, VP at Quicken Loans. Raising the amount of new home construction will release the pressure by providing more options for a variety of consumers, from those looking to upgrade to first-time buyers.